New Listing! Bi-level Home in the City of Gladwin! 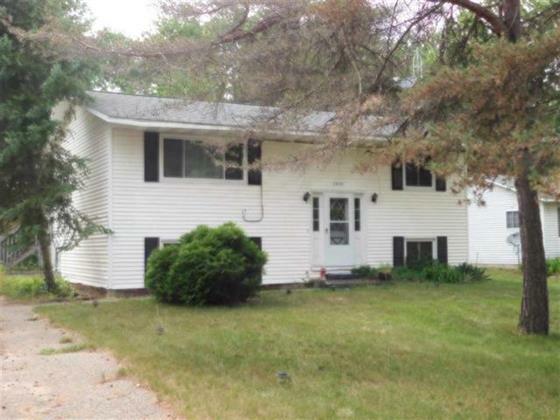 Check out this bi-level home located right in the city of Gladwin! Come see what some cosmetic updates could do for this house! 1,726 square feet with 4 bedrooms and 2 baths located in the City of Gladwin. The roof is only 8 years old, it has newer windows throughout, both the furnace and central air are newer too! The bi-level home offers an open living room & dining room with a balcony off the dining room accessed via a sliding door. Great place to grill and watch the kids play in the backyard. Galley style kitchen and the appliances are included. One bedroom and bath on this level. Lower level has 3 additional bedrooms, full bath and an oversize mechanical and laundry room. Large yard with mature trees and a fenced back yard! Located close to the schools! A little paint and carpet would go a long way here!! Hi Sonya, Congratulations on your new listing. This is a great home in a fantastic location. I am sure you will find a buyer for this beauty real soon.